2018 List Coming soon! Please feel free to make reservations or requests! We’re happy to (finally) announce the plants we’ll have available this year- please get your order in ASAP as quantities are limited- apologies for our delay in getting this out! Please inquire about ‘bulk’ pricing (10 or more plants in any combination) or ‘wholesale pricing’ (10 or more of the same plant/ variety). This are great for folks establishing hedgerows, windbreaks, shelterbelts, orchards, vineyards, or looking to begin commercial production of these Vermont-proven fruits, nuts, berries, and vines. Wholesale quantities are limited to only some of our plants. Plants are available for pickup BY APPOINTMENT- I may be delivering some plants into Burlington, some are at the farm, some are in cold storage downtown Jeffersonville- so please call or email to confirm availability and arrange a time and ensure the right location to get your plants. SUNDAY MAY 7 we will host a farm tour, and then a ‘urban homestead/ apothecary’ tour downtown Jeffersonville, where folks can view mature examples of the plants we’ll have for sale, Pine Nuts, Hazels, and Currants will be available for pickup, fruit trees and other pots will be available after this Monday May 8. Stay tuned for details- I will continually update this page with availability. We’ll announce more ‘open hours’ for plant pick-ups soon, and are usually available by phone or email to make an appointment to meet for a plant pick up. This is the earliest of all nut trees to bear nuts. 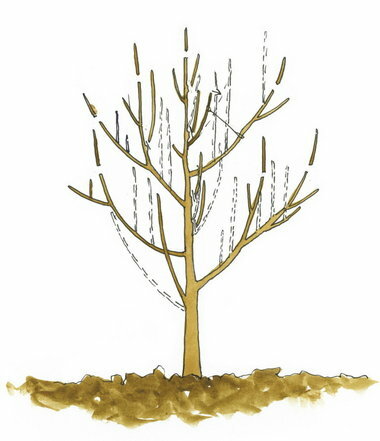 One of our favorites for a future crop in VT, now well into production here at Willow Crossing, these multi-stemmed trees will begin to bear nuts in as little as 3 years from planting. They also make nice hedges, living fences, privacy screens, or snow fence, and have attractive fall foliage. We finally are able to release some of our favorite trees for an evergreen windbreak- the producers of PINENUTS. Almost all Pinenuts in the supermarket are Korean Pinenuts grown in China. A beautiful tree with whorls of dark-green needles, this very hardy Pine is an attractive and stately tree planted singly or in groups. Its large and tasty nuts are gathered in Korea and eastern Russia and are greatly prized for their rich flavor, nutritional value, and high economic worth. CARPATHIAN/ MANREGION WALNUT- SOLD OUT Please write to express interest, as there may be some left over. -KEN”S RED- This delicious female cultivar bears abundant crops of grape-sized, red skinned ,and red fleshed fruit. Requires male for pollination. -74/49- A favorite variety for ‘kiwi berry’ production- this female cultivars bears heavy crops of large green and deliciously flavored fruit. Requires male. -‘ANDREY’ MALE- An extra hardy Russian male, suitable to pollinate all female Hardy Kiwis. 1 male needed for every 8 females, depending on pattern. Optimal pollination with 1 male for every 5 females. Cherries available. From brilliant white blossoms to the dark red fruit to beautiful foliage in fall, this tree provides multi-seaon interest. Introduced by Dr. Lapins at the Summerland Research Station in British Columbia, Canada, Lapins is a favorite with commercial growers. Lapins is also an easy to grow and very productive variety for the home gardener. The standard for plum quality since the 17th century, Green Gage Plum is one of a group of classic and highly prized European Plum varieties. Green Gage bears large crops of yellowish green, juicy, firm and tender, oval fruit . Very sweet and richly flavorful, Green Gage is great for fresh eating, baking, preserves, and canning. The largest fruit native to north america! One of our most popular and reliable varieties, Sunflower Pawpaw bears good crops of very large, sweet and delicious fruit. Sunflower won First Prize at the 2010 Ohio Pawpaw Festival. Experimental in the colder parts of VT.
Turkey, its named after garden writer Vern Nelson. Vern’s Brown Turkey has proven itself a reliable and productive variety. It bears large, sweet and flavorful, dark brown figs with light amber flesh, often producing two crops a year. A unique cross of Gooseberry and Black Currant, Jostaberry is the most vigorous of all our Currant varieties. A very disease resistant and easy to grow small shrub, Jostaberry produces very large, jet black, sweet-tart fruit, high in Vitamin C and good for fresh eating and excellent for jams and jellies. This valuable and attractive shrub is prized for its medicinal properties, fruit, and ornamental value. Ukraine™ Highbush Cranberry features large clusters of snow-white flowers in the spring followed in September by bright red berries and striking reddish orange foliage. After frost removes their bitterness, the berries are used for preserves, candy and baked goods. The flowers, fruit and seeds are used in herbal medicine as a fever reducer, to lower blood pressure and treat heart disease. Ukraine™ was selected for its abundant crops of high quality fruit and its colorful, orange-red fall foliage. It often begins bearing the 2nd year after planting. An attractive, vigorous, and productive small shrub, Viking Aronia is a popular commercial variety in Europe. Viking bears abundant crops of large,almost black berries which make tasty and nutritious juice, wine, and ‘raisins’. Viking’s lustrous, dark green foliage turns a beautiful fire-engine red in the fall. A very hardy and unique small shrub, Honeyberry is an edible species of Honeysuckle with sweet and tasty fruit- presently being developed as a commercial crop through the coldest parts of the world. Valued for its tasty, blueberry-like fruit, its extremely early ripening, often two weeks before strawberries, and its exceptional hardiness, to minus 40 degrees F., or below. Great for fresh eating, juicing, and preserves. Has approximately 5x the anti-oxidants of blueberries! BLUEBERRIES– All of our blueberries this year are coming from collaboration with our good friends and neighbors at Johnson’s Waterman Orchards. They are ERICOID INNOCULATED– a fungal symbiont on blueberries. GINGER STARTS! Will be available later this spring- reserve now $5/ plant. LOOKING FOR SOMETHING ELSE? Let us know- we have more than is listed here. This page will contantly be updated this spring. I have – white and red currants, northern pecans, hickories, chinese chestnuts, saskatoons (serviceberries) all getting graded and priced this coming week. HOW TO ORDER? The best way to order or ask questions is to send an email to KEITH@PROSPECTROCK.ORG. A reminder- we have just a few spaces left in our 10th ANNUAL FARM AND WILDERNESS IMMERSION PERMACULTURE DESIGN CERTIFICATION and full scholarships available for income-eligible Vermont State Residents. THANK YOU FOR SUPPORTING OUR FAMILY FARM and SHARING THIS! We’ll start the morning with a brief tour of the ‘urban homestead’ and apothecary downtown Jeffersonville, then head to the farm for a permaculture design workshop, wood fired pizza from the earth oven, and tree crop and natural building tour. Are you interested in learning how to ‘read’ a landscape, map your future, and cooperate with nature to be more productive and resilient? Join Keith Morris of Prospect Rock Permaculture for a hands-on exploration of whole-system ecological design. In this workshop, Keith will provide a design process that you can apply to your own site (regardless of size) that includes the importance of perennial tree crops and climate resilience. We’ll explore a variety of ‘new’, experimental, and lost, traditional plants; DIY and debt-free infrastructure improvements and potential ‘micro-enterprises’ for the garden or homestead. To see a variety of design scale, we’ll begin at Prospect Rock Permaculture’s downtown homestead and apothecary, and then travel down the street to Willow Crossing Farm- Vermont’s longest running permaculture research and education site. Lunch will be included and prepared in Keith’s onsite pizza oven. Our WEEKEND FORMAT Permaculture Design Certification Course will be announced soon! Please call or email if you’d like to get on the list or would like more information! Please pre-order and read below for details. Vermont’s oldest Permaculture Research and Education Institute is pleased to announce the details for our annual Nursery Plant Sale! Edible Forest Gardens, Edible Landscaping, Specimen Trees, Windrows/ Hedgerows, Wildlife Corridors, Deer Yards, Riparian Buffers, Vineyards, and Productive Orchards. Nitrogen Fixing, Nutrient Accumulating, and Pollinator Feeding support plants. 100% of the Proceeds from this sale further Permaculture Research, Education, and Productive Reforestation for Vermont’s Fields, Farms, and Floodplains- supporting more diverse, resilient, and nourishing tree crop propagation for cold climates. Willow Crossing Farm is working to demonstrate and spread Climate Resilient, Multi-Generational, Ecologically Regenerative, Carbon-Negative, Income Producing, Nutrient Dense, Valuable Sugar and Lumber Producing, Pollinator Supporting, Soil Building, Flood Tolerant Tree Crops for Vermont’s Farms, Yards, Gardens, and Cities. Plants will be available for pickup Friday May 2, Saturday May 3, Friday May 9, and Saturday May 10. Please SHARE this with your friends and networks who may be interested! Some plants will also be available at The Farm Store in Jeffersonville, VT and larger orders are able to be delivered into Burlington. It is strongly recommended that you Pre-Order plants, as many will sell out. Some Bare Root plants will only be available during earlier pick up dates, and some of the Medicinal Herbs may not be available until the later dates. * Asterisks indicate experimental plants for our region- typically, these are plants that can survive Vermont winters, but may not reliably bear crops every season. Most are suited to the Champlain Valley and some of Vermont’s warmer microclimates, and will be more marginal in colder microclimates. All are bering grown here in the Lamoille River Valley of Johnson, VT. Please ask about quantity discounts for orchards, nut groves, vineyards, and working farms. All plants are in VERY LIMITED QUANTITIES- its best you CONTACT US if you’re coming for anything in particular. Seedling American Chestnut: ~18″ Bare Root. Xanthoceras (Yellowhorn) 3-4′ Bare Root. Sea Berries, or Sea Buckthorn, are a promising new crop for VT. As fruit-producing Nitrogen Fixing plants, they are also excellent additions to any fruit, nut, or berry planting, literally bringing Nitrogen out of the atmosphere and making it available to plants in the soil. Bred extensively as a superfood in Russia and Germany, sea berry is increasingly being used in a variety of health foods, juices, hair products, and other supplements. Hardy to -40º. Leikora (F): 2-3′ Bare Root. Prized for both its fruit and its striking branches, often used in floral displays. Leikora bears abundant crops of high quality large, juicy, flavorful, bright orange berries, ripening in early Sept. and remaining on the plant even after heavy frost. Radiant™ (F): 1 gallon pots. A valuable Siberian variety, Radiant™ is prized for its large, juicy and flavorful fruit, which is particularly high in Vitamin C. Radiant™ forms a compact, attractive shrub growing to about 8 ft. in height. Russian Orange™ (F): 1 gallon pots. A particularly attractive, vigorous, and productive, medium-size shrub, Russian Orange™ bears abundant crops of very large, flavorful, dark orange berries. Russian Orange™ also features unusually lush, grayish green slender foliage. Titan™ (F): 1 gallon pots. One of our favorites and most popular varieties, Titan™ bears abundant crops of very large, bright orange berries. Very flavorful and aromatic, they make delicious juice and preserves and grow to about 10 ft. in height. Russian Selection. Male (M): 1 gallon pots. An attractive ornamental shrub and important pollinator for the many varieties we offer, our Male is covered with striking large, dark golden-brown flower buds in winter and spring. One Male plant can pollinate up to 8 female plants. These attractive, vigorous, disease and pest free vines can quickly cover a wall, fence, arbor, or trellis. Their delicious, lime-green (and fuzz free) fruit is sweeter and more flavorful than the store-bought Fuzzy Kiwi, and can be eaten like grapes! Once established, they survive the coldest winters. All varieties $20, Anna is $15. Andrey (M): 1 gallon pots. A super hardy (-40ºF) Eastern Russian male pollinator. Anna (F): 3.5″ pots. The most popular variety for commercial production- bearing abundant crops of large, very sweet fruit. Hardy Red (F): 1 gallon pots. A unique variety with attractive red-fleshed sweet-tart kiwi berries. Rossana (F): 1 gallon pots. An Italian variety, and favorite from our trials. Good crops of large, red-blushed delicious fruit. Ribes are all of our currants, gooseberries, and jostaberries. Some of the best shade-tolerant fruit, all the ribes make excellent understory plantings beneath fruit trees- a traditional pattern in the community gardens throughout Eastern Europe. They are rich in vitamin C and anti-oxidants, and make for excellent tart fresh fruit, jams, jellies, juices, vines, dried berries, and other preserves. “Crimson Star” 1 Gallon Pot. “Reliance” 3/4 diameter Bare Root. “Early Red Haven” 3/4 Caliper Diameter Bare Root. Saskatoon Serviceberry 2-3′ Bare Root. Please check back later as I will continue to update prices and the varieties for Asparagus, Medicinal Herbs, and more! Please share this email or link to this webpage via your networks! June 21-22: NATURAL BEEKEEPING WORKSHOP! 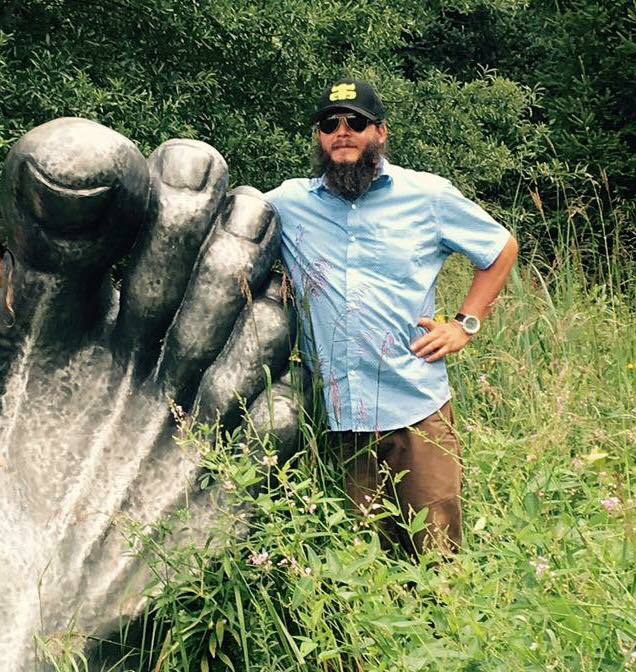 With SAM COMFORT of Anarchy Apiaries, and a special focus on Native Pollinators. July 20 – August 1. Our 7th ANNUAL PERMACULTURE DESIGN CERTIFICATION COURSE! Thanks- look forward to seeing you at the farm this spring! 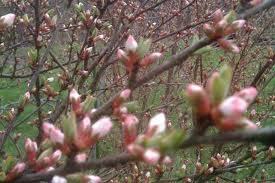 May 3- Plant Sale and Plum Flower Party! Most plants are pre-ordered to be picked up. Read below for last year’s variety descriptions (most will still be available). 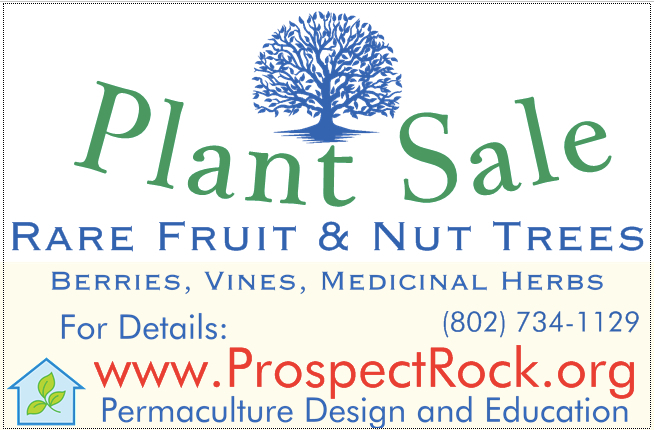 If you are looking for any plants in particular, please email Keith directly at Keith @ ProspectRock.org (no spaces). Sorry- we are not set up to ship plants this spring! We have a variety of plants for sale here from Willow Crossing Farm! We hold one of the northeast’s most diverse collection of cold hardy fruits, nuts, berries, vines, medicinal herbs, nitrogen fixing and pollinator attracting plants. Pre-ordered plants will be available for pick up at the farm May 3-4, and in Jeffersonville, Johnson, Burlington, or Stowe farmer’s markets in early May, dates TBA. Our final availability for spring 2014 will be updated in March, please email if you’re looking for anything in particular, or would like to be notified directly when we have our list finalized. A unique and tasty pie cherry from Minnesota. This self-fertile, naturally dwarf tree bears heavy crops of large, tasty, bright red fruit with red flesh and red juice. Northstar grows to 6-8 ft. in height and is hardy to minus 40°F. 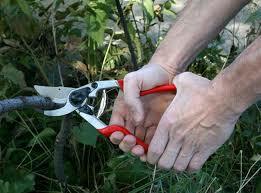 $25 1/2″ caliper trees. Bare Root “Buartnut” Walnut/ Butternut cross A cross of Butternut and Heartnut, this handsome, medium-size shade tree iproduces abundantcrops of tasty nuts. Buartnuts combine the hardiness and delicious flavor of Butternut with the high yields and easy to crack shell of the Heartnut. Trees are resistant to the Butternut fungalblight. $15 1′-2′ seedlings. “Anna“- One of the most popular varieties for gardeners and commercial growers alike, Anna’s attractive, very sweet and flavorful fruit can weigh up to 1/2 oz. “Tatyana“- This exceptionally hardy female variety bears abundant crops of tasty, sweet, large,lime-green fruit. $15 Each. Will require a male plant to fruit. Please note bare root trees are completely naked and not in pots- they will need to go right in the ground (and be watered) after picking them up. Check out http://www.prospectrock.org for more details. We’ll be pulling out Grapes, Blueberries, Hazelnuts, Sugar Maples, Walnuts and much much more in the next few weeks. In early May we’ll have a party at the farm and appreciate the incredible flower show with the Native American Plums, stop by if you want to see some of these plants available a bit more mature than the ones we sell. Last year we had a record crop of plump, juicy, and unblemished organic Peaches- right here in the Lamoille River Valley of Northern Vermont! Please share this with friends! Local sales only. Please call, email, or comment for prices and availability. 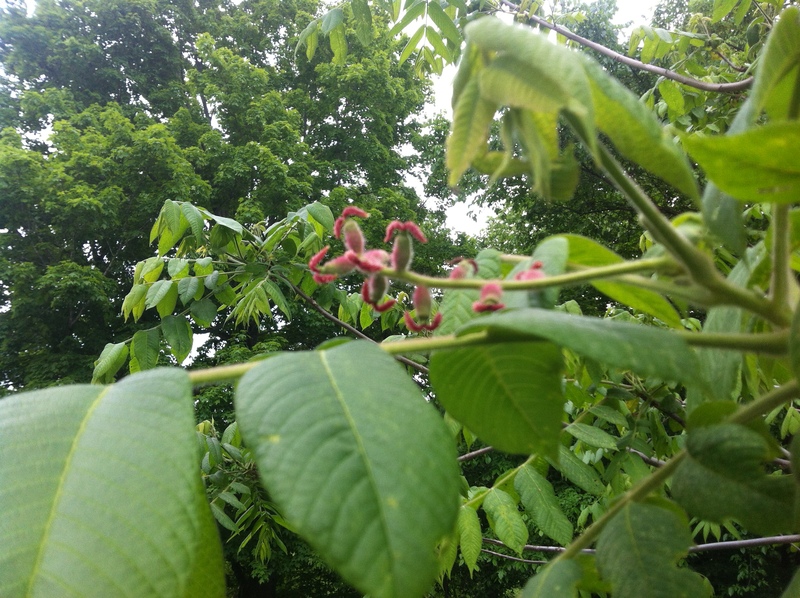 Join VT’s Master Horticulturalist Zach Leonard and Tree Farmer Keith Morris for a day of hands-on practice with fruit and nut tree pruning, in a diverse permaculture forest garden setting. Spend the morning in the large yurt learning the science and ecology of how trees lose limbs and ‘heal’, and explore the deep traditions of how humans beings observe and interact with this phenomenon. 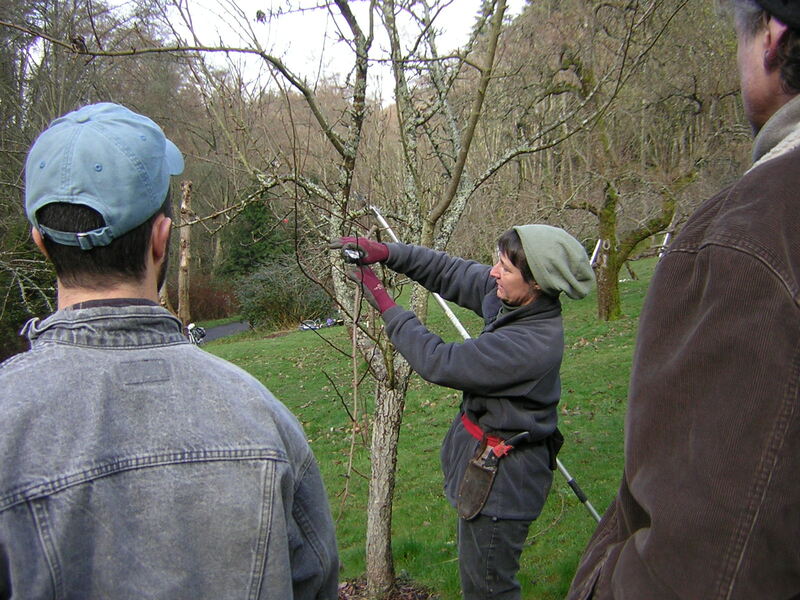 We’ll synthesize a variety of pruning ideas, strategies, and techniques to help you develop your own philosophy, understanding, and confidence to go out and work with trees in your landscape in a regenerative and yielding way. After lunch and some hot cider we’ll go outside to explore one of VT’s oldest permaculture designed food forests- a reforestation of old pasture and hayfield in the floodplain of the Lamoille River. We’ll briefly tour ‘Productive Buffers’, wildlife corridors, and stop to work in zones of Plums, Apples, Peaches, Pears, Berries, Vines, Hazelnuts, Walnuts, and more- driven by the group’s interest, and discussing pruning techniques for trees both young and old. This workshop kicks off our series for 2014! Please enter your email in the box on the right hand side of the page, or ‘like’ us on Facebook to get the calendar and details for our other offerings such as: fruit tree grafting (March 16), nursery plant sale, natural beekeeping workshop, nut production, diverse understory planting, spring development for gravity fed irrigation, natural building, compost heat, season extension, earth oven construction, stone masonry, and more. Our Plum Flower Festival and Nursery Plant Sale is scheduled for May 4, with some plants available for pickup Saturday May 3, or delivery into Burlington. Our 2014 Permaculture Design Certification Course will be held July 20- August 1, and is filling quickly. Applications for our Advanced Permaculture Design / Build /Grow / Teach internship, and APDC guided portfolio development will now be accepted on a rolling basis! 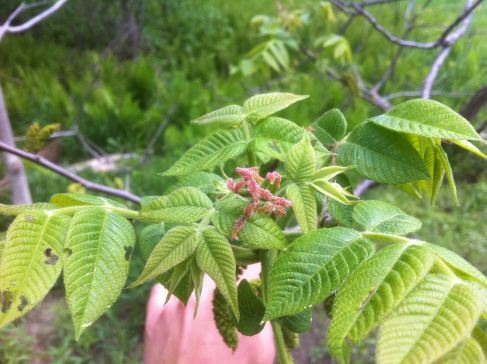 Keith Morris has been collecting and experimenting with rare fruit and nut trees for 14 years, and is professor of ecological design at the University of Vermont. He has worked to help create resilient, diverse, socially just, and economically viable food systems around the world since 1996. Please spread the word to potentially interested friends and networks. Thank you for your support of our work! The female flowers of a ‘Buartnut’, which have been hand pollinated by Butternut- giving us Vermont’s first ‘ButterBuarts’! 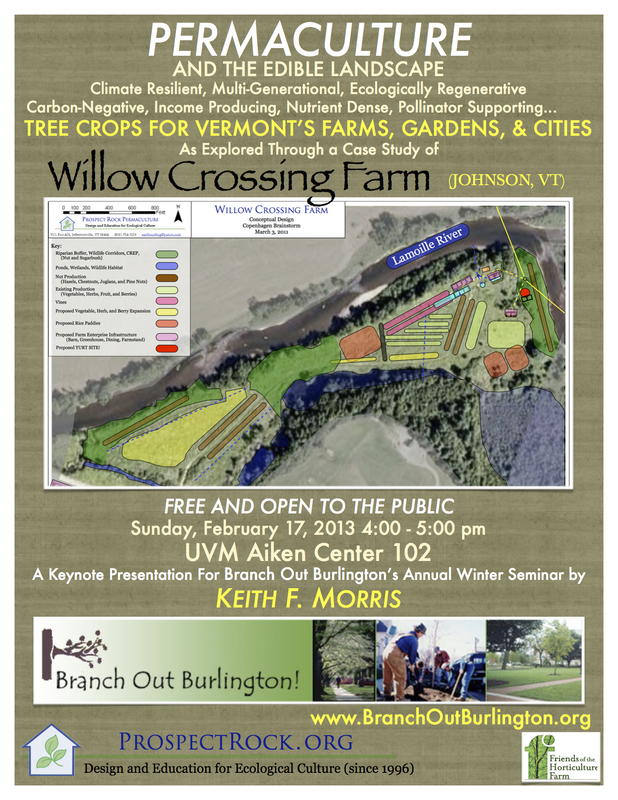 Here is a last minute invitation to any of you who may be interested in joining a small group of students, researchers, and folks with NOFA and UVM Extension for an informal tour of the ‘productive buffers’ and Tree Crops collection at Willow Crossing Farm in Johnson, VT.
As our rivers, riverside farms, and riverside towns are increasingly put to the test with erratic weather we look forward to contributing to the conversation about the health of our rivers and agricultural economy with over a decade of experience testing 100s of species of plants suitable for ‘productive buffers’ and productive floodplain reforestation. 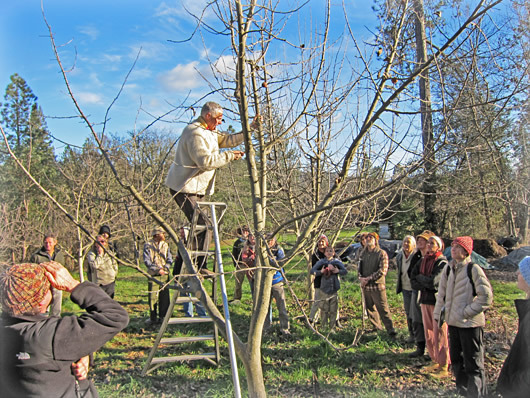 This event is to prelude a larger event this fall, and a multi-day ‘Tree Crops Symposium’ scheduled for the late spring of 2013 with some of the world’s foremost experts in tree crops, nut production, agroforestry, and non-timber forest products. Willow Crossing Farm (Prospect Rock Permaculture) has been dedicated to making floodplain reforestation profitable and ecologically regenerative since 2001. Through combinations of native riparian plants with both native and rare nut, fruit, sugar, timber, and firewood producing trees, berries and medicinal herbs, we’ve worked to reforest our river’s corridors and flood prone sections of our farm aiming to prevent erosion; conserve soil and nutrients; shade waterways and improve water quality; create fish, wildlife, and pollinator habitat; and offset atmospheric carbon- all while adding to our long-term bottom line. We grow many different varieties of plums, apples, cherries, pears, apricots, peaches, berries, paw paws, and over 17 species of nut trees. Last summer, our systems were put to the test with two 500 year floods within 4 months and largely performed as designed- catching and diverting flotsam and protecting cultivated areas, greenhouses, and other farm infrastructure. Now, we are inviting other farmers, and anyone interested in watershed health and the potential for ecologically regenerative and carbon-negative farming systems to take inspiration from our trials, and share in our mistakes, successes, and other information gained. Please be in touch with Keith Morris (Keith@ProspectRock.org or (802) 734-1129) if you are interested in attending. Please feel free to share with students or other potentially interested contacts or networks. A Keynote for Branch Out Burlington‘s Annual Winter Seminar. Welcome! -Please be patient as our website is under construction. We apologize for any dead links or blank pages- feel free to enjoy what is up, and check back soon as we continue to revise and add content. Be in touch via comment or email if there’s anything in particular you’re looking for and can’t find online. We welcome your feedback and suggestions as we reformat our online presence. Stay tuned for more photos, video, and designs coming up soon! Prospect Rock Permaculture is a growing edible forest garden, ecological homestead, and education center in Johnson along the Lamoille River. We combine reforestation, wildlife refuge, and ecological restoration with food production and community building, while educating about and experimenting with sustainable techniques and ways of building. We grow seed with High Mowing Organic Seeds, keep bees and wild craft medicinal plants for Honey Gardens Apiaries, grow fruits, nuts, and berries with Elmore Roots Nursery, and also work researching and educating about biodiesel. Be in touch for updates about classes, workshops, tours, and internship or apprentice opportunities.